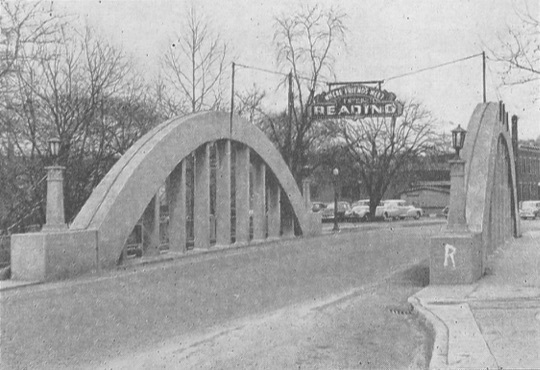 The Benson Street Bridge, or “Rainbow Bridge”, marks the city limit between Reading and Lockland, Ohio. Residents are fond of mentioning a sign that hangs over the bridge, proclaiming both Cincinnati suburbs to be “Where Friends Meet”. But if you talk to enough people from the surrounding area, you eventually hear whispers about a less friendly sign that used to be posted at the city limit, warning nonwhites not to set foot in Reading. 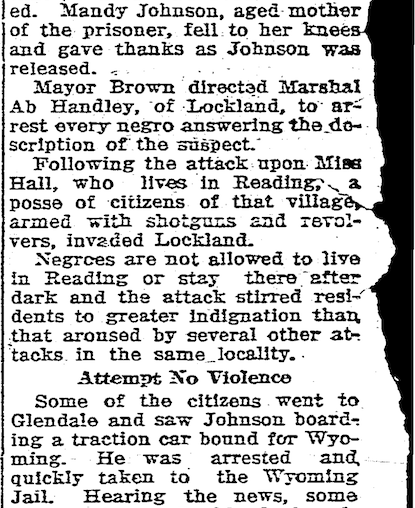 My mother used to ride the bus with an African American person who still avoided that town, even though she said the whites-only sign hadn’t been up since the 1960s. You can imagine there must’ve been robust enforcement of that policy for it to have wound up on a welcome sign in the first place. The Benson Street Bridge, or “Rainbow Bridge”, marks the city limit between Reading and Lockland, Ohio. Residents are fond of mentioning a sign that hangs over the bridge, proclaiming both Cincinnati suburbs to be “Where Friends Meet”. But if you talk to enough people from the surrounding area, you eventually hear whispers about a less friendly sign that used to be posted at the city limit, warning nonwhites not to set foot in Reading. This April marked ten years since I started mapping for OpenStreetMap. Then as now, mapping has always been a hobby for me, even as I picked up a day job writing OSM-powered software. I seem to have a knack for playing double duty, awkwardly. Recently, I discovered that the author of several Firefox add-ons has turned some of them into spyware designed to steal passwords from unsuspecting users. After OpenStreetMap gets vandalized, the lesson is to focus on chasing away bad people and building good content. 2016 paved the way for a 2017 that took me in a couple new directions but mostly fell along the same themes. The name’s Minh Nguyễn. I’m a San José–based software developer, free content and open data enthusiast, and ardent defender of diacritics everywhere. Since March 2002, Minh’s Notes has been home to my occasional insights and frequent attempts at humor.